Paula Dorf is currently one of New Yorks most sought-after makeup artists in television, film and music. Paula Dorf has designed a makeup collection to allow every woman to become her own makeup artist. The colors are timeless and classic. --The woman I have in mind when create new colors has her own distinct personality. My makeup enhances and defines natural beauty, says Dorf. 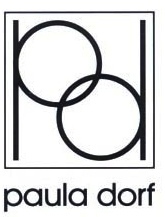 Paula Dorf Celebrity Clientele: Yasmine Bleeth, Christie Brinkley, Helen Gurley Brown, Brett Butler, Cindy Crawford, Heather Donahue, Karen Duffy, Melissa Ethridge, Edit Flaco, Jennifer Garner, Sarah Michelle Geller, Marilu Henner, Katie Holmes, Steve Martin, Dina Meyer, Amanda Peet, Priscilla Presley, Arnold Schwarzenegger, Sylverter Stallone, Robin Williams, James woods, Paula Abdul, The Bangles, Bob Dylan, Kiss, Annie Lennox, Paul Simon.